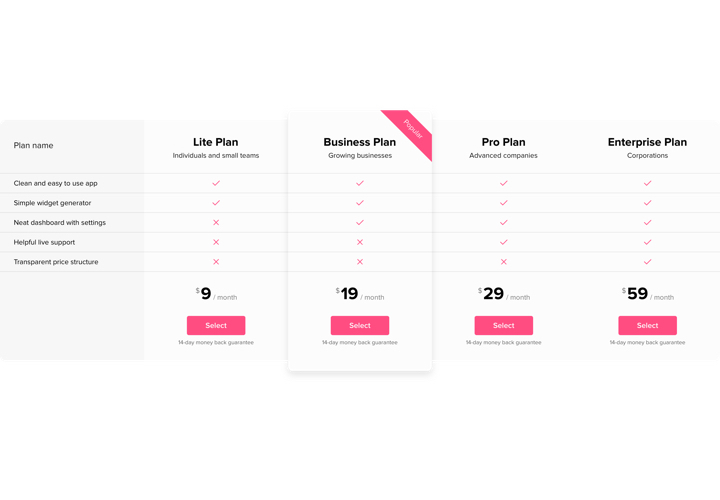 Pricing is one of the key aspects of convincing clients to make an order. Our extension not only enables visitors of the site to visualize and compare your price plans in a flash. It also helps raise conversion by means of the latest tendencies in design and modelling. Get sales of your site to a higher level, using an advanced pricing. Engage effective trends of the interface, to exclude all fears while taking a decision to buy and get the maximum conversion. Thanks to a wide variety of settings that enable to create different types of pricings just in a couple of steps, you will get the one that will be maximum efficient for your website. Write more about your tariffs. 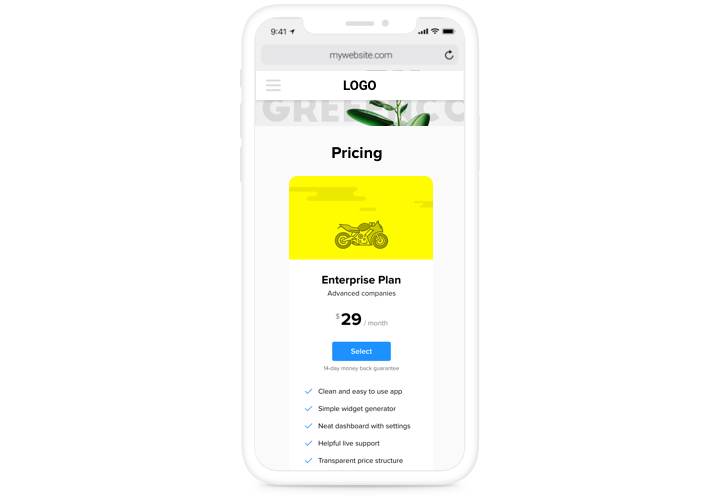 Post maximum description about all of your pricing offers and add them to your extension, so that readers could examine and check your plans. 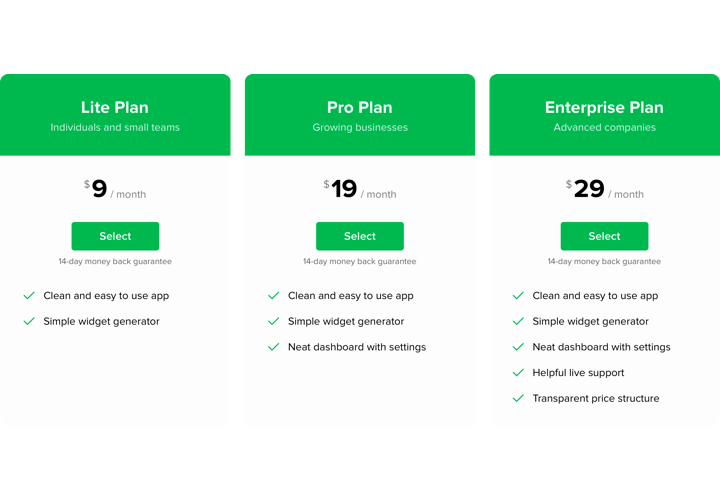 The traits that transform our extension into the best pricing table for ModX websites. A tutorial on embedding our extension into a website. To carry out this process, you don’t need to have competence in programming and a lot of time. Only 3 quick steps and 4 minutes. Download the widget and embed it on the site. Choose «Download», to launch loading. Next, in ModX admin panel, in «Extras» section, integrate Pricing Table into the site. 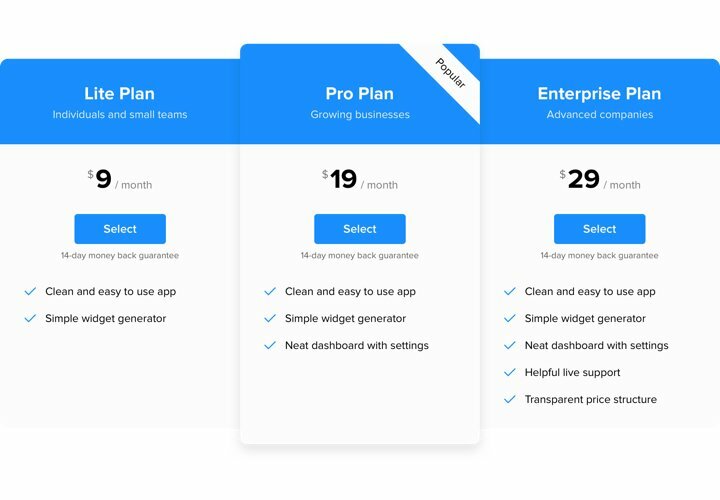 In «Extras» tab, find Pricing Table and go to customizing its appearance and functions. Display the widget on the page. In «Content» tab, find the desired page and insert the widget code there. Visit your site, to see pricing! Having issues with shaping the extension? 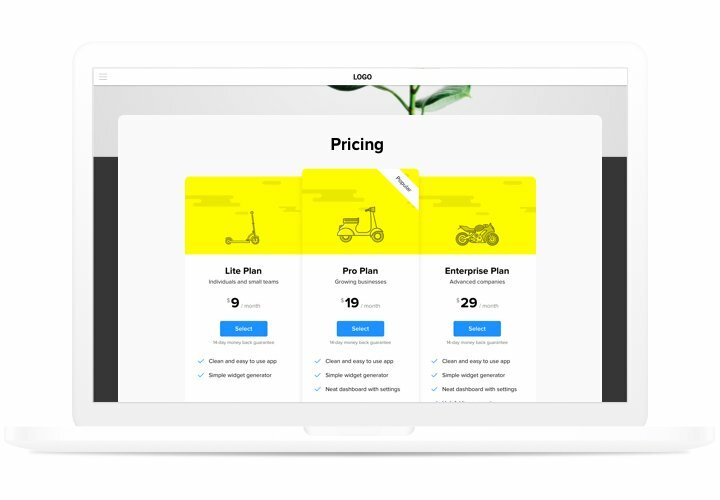 Read our complete instruction «How to show pricing table on a ModX» or contact our customer service, which will solve any kind of your troubles. 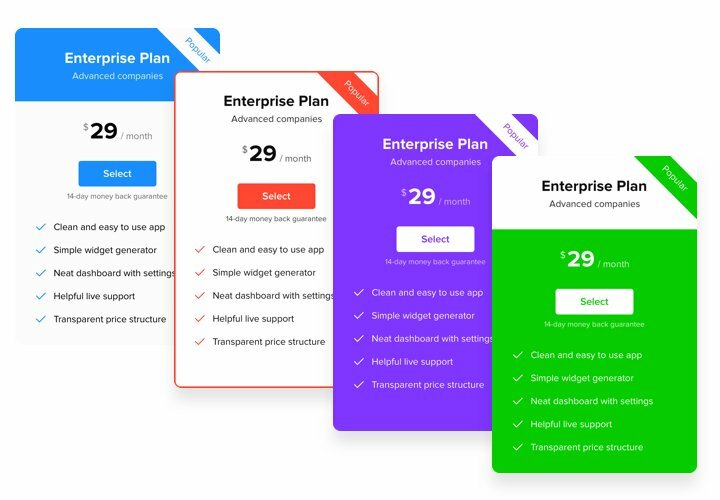 Set the best ModX Pricing Table extension in only 3 minutes!